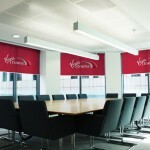 Our office roller blinds play an important role in conditioning a work environment. Not only do they help set light levels so spaces get as much or as little sun as needed, they provide extra security and privacy during early dark nights in winter. Our blinds are key to promoting workplace productivity, with added benefits such as helping to regulate temperature by reflecting unwanted heat back through the window. Citrus Rain’s digital printing process can produce clean and crisp designs on any of our blind options. 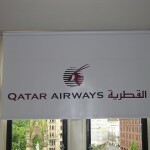 Our branded office blinds can display logos, slogans, quotes, photos or any communications you’d like. Not only will you receive a high-quality, cost effective blind system, you will receive a well-designed product that promotes your brand to visitors indoors as well as passers-by outside your offices. 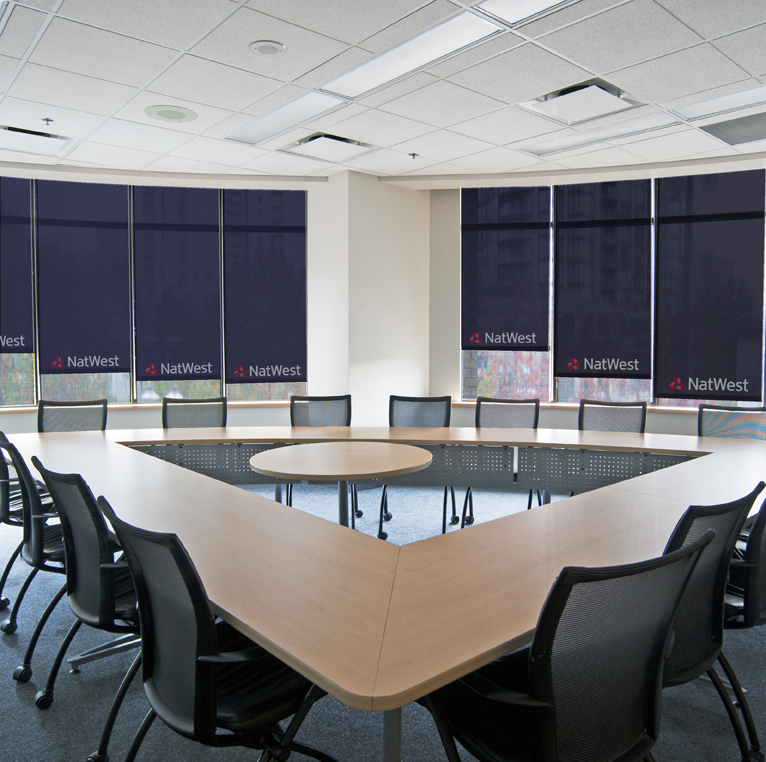 Board room roller blinds are one of our most popular products, as they facilitate creating a private area for partners to talk business. Our custom roller blinds reinforce your brand identity and can assist in setting the right conditions for meetings and helping your business gain a favourable result. With a wide variety of colours and durable fabrics available, your blinds can be completely bespoke and suit the interior design of your space as well as brand guidelines. Give your headquarters a truly personal, professional touch with custom roller blinds from Citrus Rain. Standard fabric – Oeko – Tex 100, Flame retardant DIN 4102:B1 BS5867:part 2 Type B1. Blackout PVC – Wipe clean, Flame retardant DIN 4102:B1 BS5867:part 2 Type B1. Blackout 100,000 Lux. 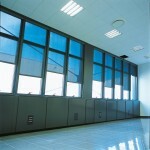 Energy saver – Heat reflective, Oeko – Tex 100, Flame retardant DIN 4102:B1 BS5867:part 2 Type B1. Made to measure and printed with your brand / style guide. Flame retardant – DIN 4102:B1 BS5867:part 2 Type B1. Fully compliant with all child safe guide lines. Standard, Energy saver and std Blackout fabrics are all Oeko – Tex 100 certified printed with solvent free dyes. Colour matching service available – Non standard colours are available via our colour matching service.